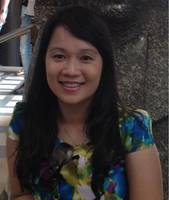 Nguyen Thi Tuong Anh, PhD (Vietnam) is curently a DIES Proposal Writing regional expert in South East Asia. She is senior research fellow at Development and Policy research center DEPOCEN and a lecturer at Faculty of International Economics, Foreign Trade University, Vietnam. Leenawaty Limantara, PhD (Indonesia) is a regional expert for DIES ProGRANT from Indonesia with a focus on research funding and research proposal writing. She is a principal investigator at Ma Chung research Center for Photosynthetic Pigments (MRCPP), a national center of excellence in Indonesia for Chlorophylls and Carotenoids, as well as an associate professor in the Chemistry Study Programme, Faculty of Science and Technology, Universitas Ma Chung. 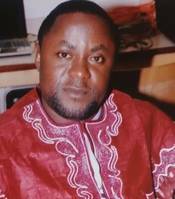 Deli Tize Teri, Ph.D (Cameroon) , is a regional expert for the DIES ProGRANT Courses. An anthropologist, Lecturer in the University of Yaoundé I/Cameroon Department of Anthropology, a researcher at the Centre for Social Sciences Research and Training and is affliated to the I'APA (Pan African Association of Anthropologists). Professor Ahmad Abu-El-Haija (Jordan) is the Director of the National Tempus Office – Jordan. He was Vice President and Dean of Engineering at the Jordan University of Science and Technology. 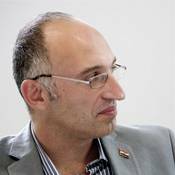 He is a recognized international expert in telecommunications and information technology. 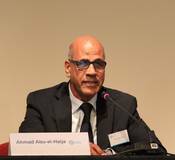 He conducted many consulting missions with the World Bank, UNESCO, ITU, UN-ESCWA, European Computer Driving License Foundation, Islamic Development Bank, and several other organizations. He is one of the founders of the Jordan Alexander-von-Humboldt Club. He has been with Yarmouk University and then the Jordan University of Science and Technology since 1979. He published over 60 technical papers in leading scientific journals and proceedings of international conferences in the USA and UK. Dr. Jude Ndzifon Kimengsi (Cameroon) holds a PhD in Geography with focus on Natural Resources and Development in 2011. He served as Consultant on Sustainable Development and Coordinator of Research, Consultancy and Publications Division at the Pan African Institute for Development – West Africa (PAID-WA). Dr. Kimengsi has been Visiting Scholar in a number of European Universities to include the Technical University of Munich and Universität Witten/Herdecke. Dr. Kimengsi is Senior Lecturer and Chair of Geography and Environmental Studies at the Catholic University of Cameroon. He has served as consultant with WWF and GIZ and has published extensively in the diverse fields of Geography and Sustainable Development. Dr. Kimengsi has a cross-cutting research interest in the fields of Climate Change and Sustainable Development, Natural Resource Management, Human & Development Geography. 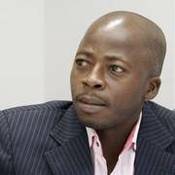 He is a DIES proposal writing regional expert in Africa. Dr. Tarek Tawfik (Egypt) studied Egyptology at the University of Cairo an has obtained his PhD in Egyptology as a DAAD scholarship holder at the University of Bonn. Currently he is a lecturer at the Archaeological Faculty of the University of Cairo and General Director of the Grand Egyptian Museum Project. Dr. Tawfik has given international lectures and presentations in Germany, Switzerland, France, England, Italy, Czech and Malta and is a Trainer at the international DAAD Academy in Bonn. In October he was elected as a member of the Arab-German Young Academy of Sciences and Humanities in Berlin. Professor Joy Obando (Kenya) studied Geography and Mathematics at the Kenyatta University in Kenya and obtained her PhD in Geomorphology at King’s College, London, UK. She has been involved in research activities as well as training on proposal writing to postgraduate students aimed at enhancing quality doctoral education. She was the Principal Investigator in the UPGRO Catalyst Grant. 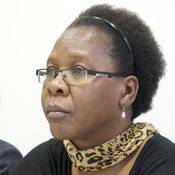 She is currently Associate Professor at the Department of Geography, Kenyatta University and also a member of the Kenya DAAD Scholars Association (KDSA). Juan David Guzmán Vasquez, PhD (Colombia) is a regional expert for the DIES ProGRANT proposal writing courses in Latin America. His research interests are the development of natural product and synthetic chemistries aiming to discover novel antibiotics and antituberculosis molecules. He is currently a lecturer in chemistry at the Universidad del Norte in Barranquilla, Colombia. 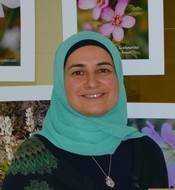 Nisrine Machaka-Houri, PhD (Lebanon) is a regional expert for DIES ProGRANT courses from Lebanon and an Honoree of the Women in Science Hall of Fame Award from the Department of State in 2015. She is an environmental scientist and researcher who has several books, papers and chapters published. She teaches plant biology and environmental health at the university level as well as an environmental consultant for national and international organizations.